Recently we caught up with ex Nottinghamshire and now Durham batsman, Will Smith. 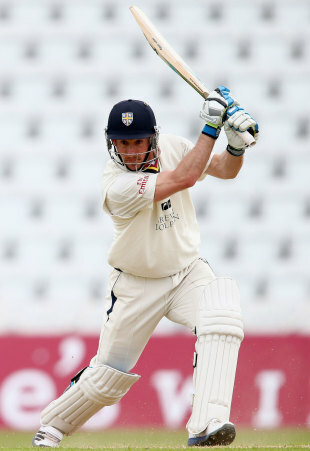 Will has been an integral part of the county game over his career which has seen him named as Durham's Player of the Year when they won the title in 2008, before he skippered the side that retained their crown in 2009. Already with a ton under his belt this year, Smith tells us in this hilarious interview all about his team mates, and no doubt a media career beckons when he finishes in the game. 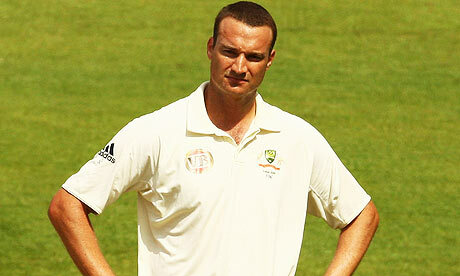 TMS: Will, firstly thank you for agreeing to do a Q and A with us. As a man who has won a championship with Durham, and then skippered them to the title, it must be a massive privilege to be interviewed by The Middle Stump? WS: Yes, it rates well above those achievements! Some of the names you've had here, it is a privilege to be mentioned in the same breath as them. TMS: How's the season going so far for Durham? WS: Pleasing. We didn't come into the season with the highest of expectations, having lost some of the senior players, but everyone is contributing. We're asking young guys to come in and step into roles, which at times are outside of their comfort zone and perform, and they aren't just doing that, they are excelling at it. TMS: I have a confession to make. We tipped you guys to go down, and yet you are sitting nicely at third in the league! WS: I half understand that, we had lost a couple of big players. TMS: So the team spirit is good. We are going to ruin that now by asking you who is the worst dressed at Durham? WS: Dale Benkenstein but he doesn't care. I would have to choose between Scott Borthwick and Michael Richardson, as they both think they look good. TMS: Who throws the worst strops when they are out for a low score? WS: Ben Stokes is a fiery character. If he gets a first baller, be wary. Years of experience have wisened me up to the fact that I shouldn't change near him, especially at away games. You also need to have a good escape route planned too! 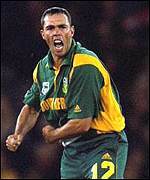 Also on the same note when I was at Notts, I played with the South African spinner Nicky Boje. I was twelfth man, minding my own business and Boje came into the changing room, and with his bat in one hand and a pair of spikes in the other, proceeded to belt the living daylights out of the bat with his spikes, having got a low score. It was the most bizarre sight seeing this bloke get into so much of a rage that he was hammering his bat with a cricket boot.That was quite a good one, yet very odd at the same time! TMS: Who is the quickest you have faced? WS: I'm going to go for an obscure one but Dewald Pretorius stands out. I have faced most of those in my career who they say are really quick but he really stood out for me when he was at Durham and I was at Notts. Very, very quick. TMS: So you are one of the best fielders around we note, with your catch in the T20 final the other year and I believe you have been twelfth man for England too? What was that like? WS: It was a long time ago. I was about 18 or 19 and it was at Trent Bridge. I got on briefly but there was noise everywhere. I heard Nasser who was skipper calling me at one point, but couldn't hear what he was saying. TMS: So was it your job to bring on the jelly beans? WS: Ha, that's a more recent thing. TMS: I see you have gone on record in the past as saying that you hope Middlesex stay in the top division due to the quality of lunches at Lord's? WS: They are very good, it is well known that they are number one for lunches. The Oval are also good, with a more healthy accent on the food, whereas Lord's is not nutritionally minded but the lunches there are first class. How the Middlesex players aren't twenty stone I don't know? They must have some serious self control. WS: I don't tend to get too many. The worst was Stuart Clark at Hampshire, their Aussie who gave me a load of abuse, and virtually all day. He never stopped, even when he was at mid off and I was at the non strikers end. I got runs too, so I spent quite a bit of time listening to it. 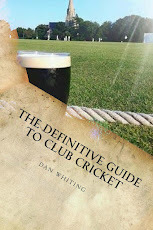 TMS: In our book Cricket Banter, Dimi Mascarenhas says that the Durham lads all like a drink. Any truth in this rumour? WS: Ha ha. Perhaps not so much now but maybe three or four years ago. We had a few more old school lads, who wouldn't get leathered every night like they did back in the 70's and 80's but would have a drink to relax. When we won the Championship a lot of Guinness went down that year. A four day game is a hard game to win in Division One and we celebrated after doing so. Winning caused it though, as we'd have a few if we won, and we did win a few that year. TMS: And who is the worst? The one who falls over after a couple of shandies? WS: Scott Borthwick had a bad moment a couple of years ago. We had an end of season do and the Worcester lads stayed and had a drink with us. There were end of season fines going around involving drinking, and let's just say he was in bed a couple of hours later! He's matured since then though. TMS: So you write a bit about cricket yourself don't you? WS: I used to write more. I did some stuff with All Out Cricket magazine and I also spent one winter there working. I am doing more Horse Racing stuff now for William Hill Radio and Racing UK tv channel. TMS: Seeing as you share your name with an American film star what is the worst and laziest journalistic pun, anyone has come up with? We were thinking the Fresh Prince of Bel Air or In Pursuit of Happyness or something like that, but they were even too cheesy for us. WS: I get them all. People humming In the Summertime is the most common one. When T20 first came in we wore black at Durham and the marketing department wanted to use me as part of a 'Men in Black' media campaign. I had to be in the Tommy Lee Jones role though, and we got Ottis Gibson in for the Will Smith bit. Dressed up in black suits with black sunglasses, I felt very stupid! TMS: So what were you taught about being exposed to long periods of sunshine earlier in your career? WS: Not a lot really. Over the last couple of years it has become more common with Sk:n coming in twice a year and giving the players checks. I am more aware of it recently, most definitely. TMS: And what do you think of the work charities like Factor 50 do, educating people and making people aware of the risks? WS: They're an extremely worthy cause. I didn't know they'd been to Durham University and educating the guys there, and if I had gone to University there later than I did, I would have benefitted from it. TMS: Who are the best coaches you have worked with? WS: I've been very lucky as I have had some great ones. Geoff Cook and Graeme Fowler stand out.When I went to Durham University Foxy was the right person for me. He was brilliant to talk to about cricket and life in general and his philosophy is that your cricket will be good, if life is good. I owe him a huge one. Wayne Larkins was also a good senior pro when I started out at Bedfordshire in Minor Counties all those years ago. TMS: Finally, we have just done our poshest named XI with the likes of Rory Hamilton-Brown etc. I noticed that you have the middle name, Rew. Are you making a late charge for the team? WS: Ha, no it's an old family name. However at Notts I was called Posh Kid as a nickname. Some of the lads there were proper Midlands lads, whereas I hailed from leafy Bedfordshire, hence the name stuck. TMS: Will, it has been an absolute pleasure. We are glad Geoff Cook is on the mend at Durham and wish you the best of luck for the season. Thank you. WS: Thank you as well. It's been a pleasure.